The Stevens mission ignites our work: To inspire, nurture and educate leaders for tomorrow’s technology-centric environment while contributing to the solutions of the most challenging problems of our time. 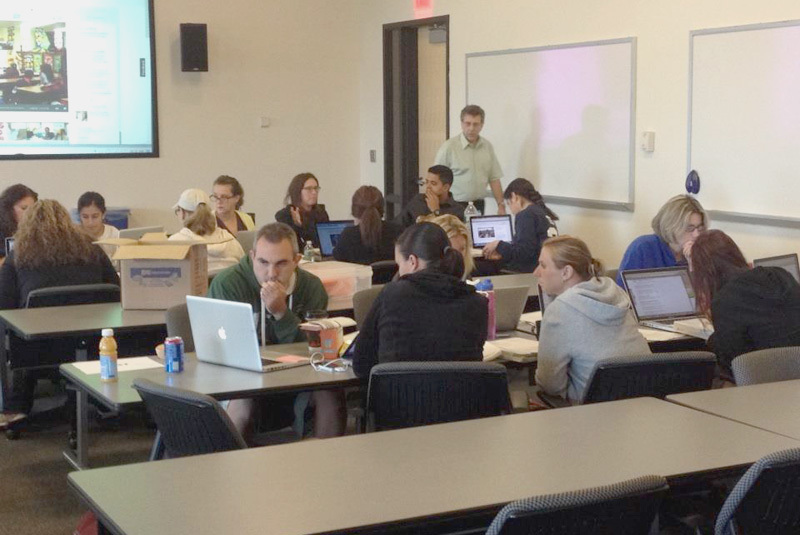 Stevens faculty engage K-12 teachers to deepen their disciplinary knowledge. 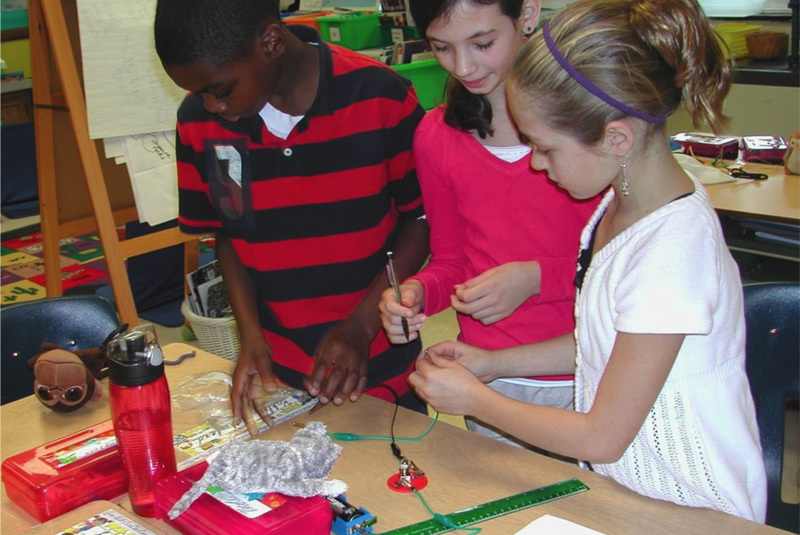 Students learn about circuits in the PISA2 program. 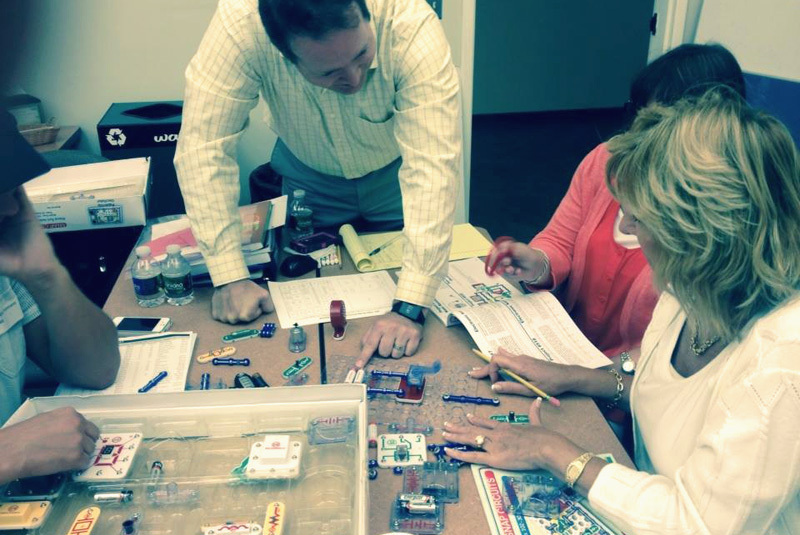 Educators perform a drop-test during PISA2 program training. 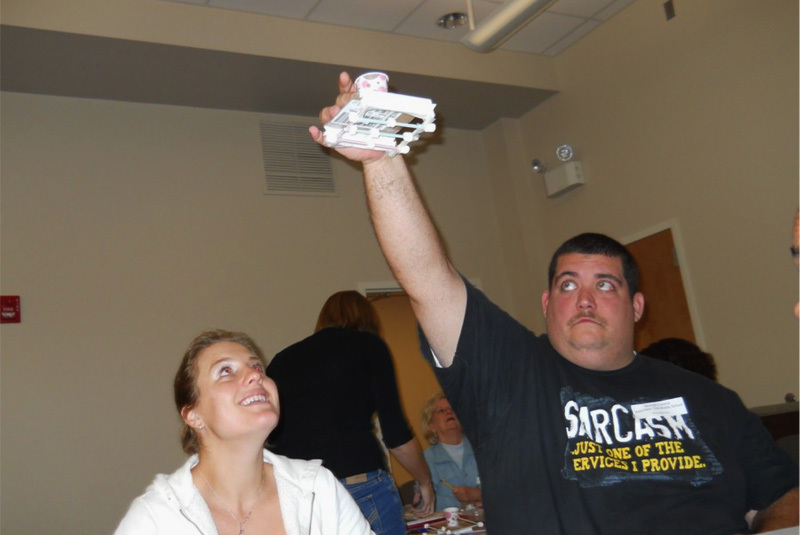 K-12 teachers explore physical science activities with support from Stevens faculty. 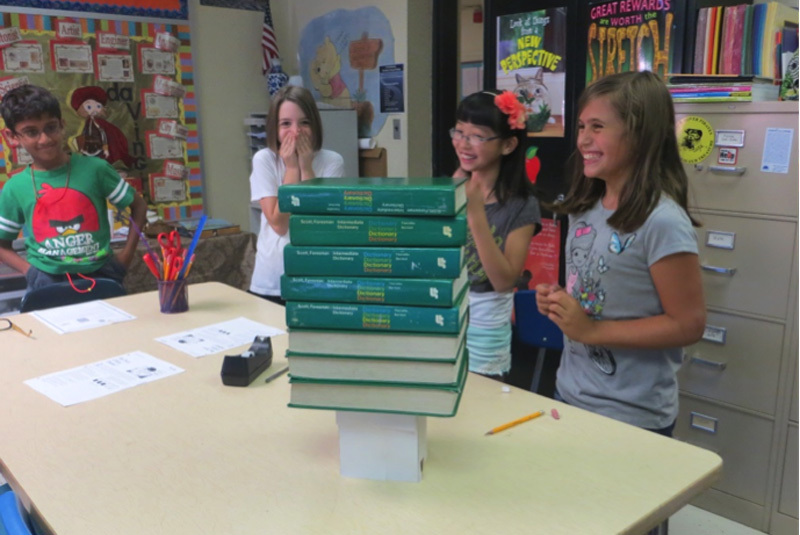 Students design and test a book-holder made out of paper. 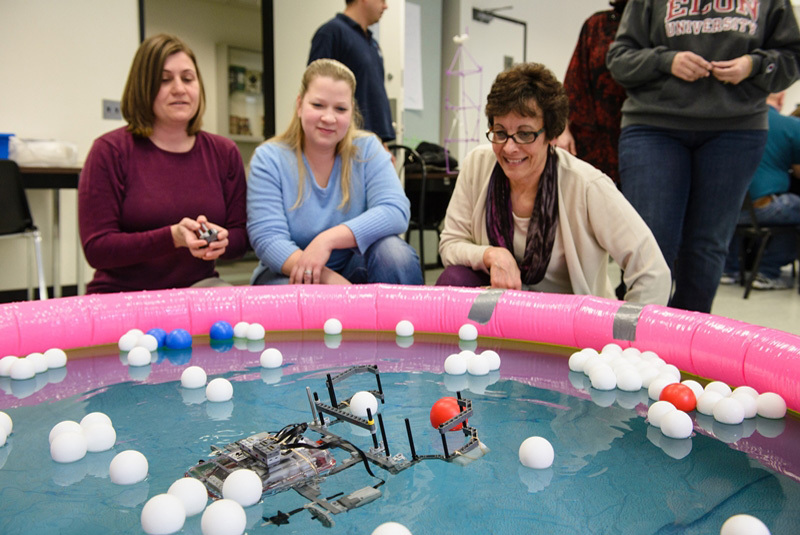 Educators design, build and test robots that can operate underwater. 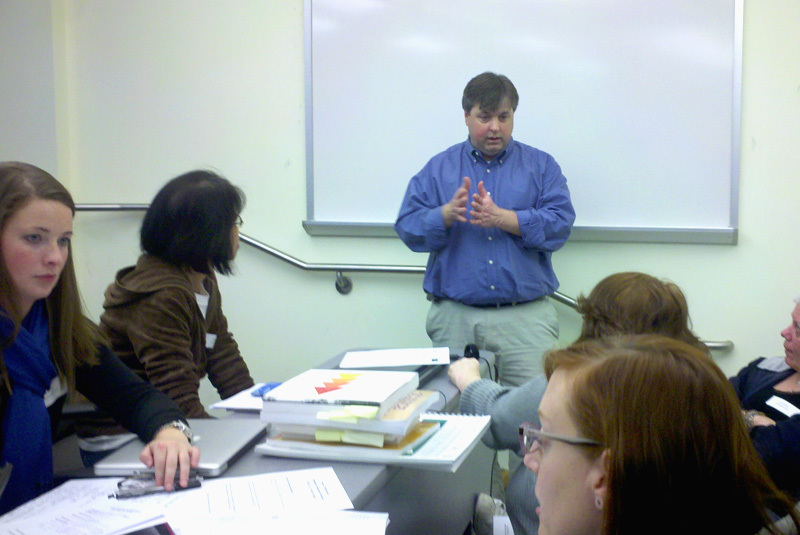 Stevens faculty work with elementary teachers on Common Core Math content. 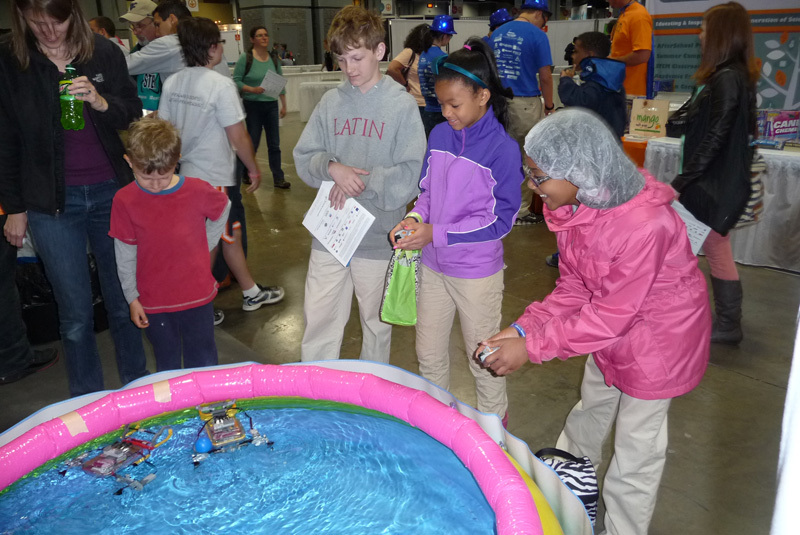 Students try out underwater robots at the USA Science & Engineering Festival. 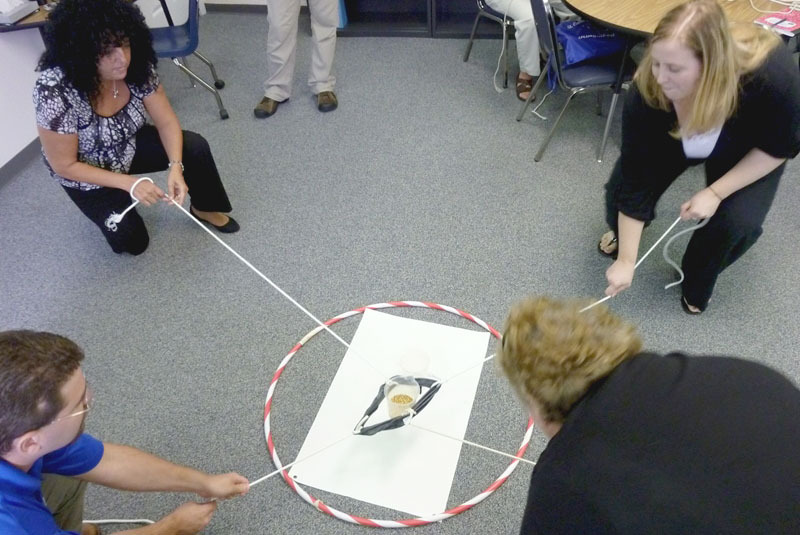 Educators work together to safely transport "toxic" popcorn. 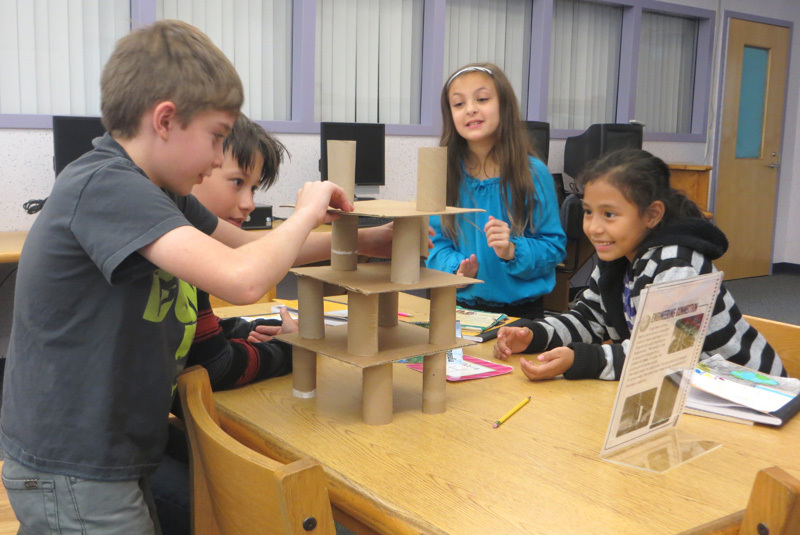 Students construct a tower made out of cardboard. 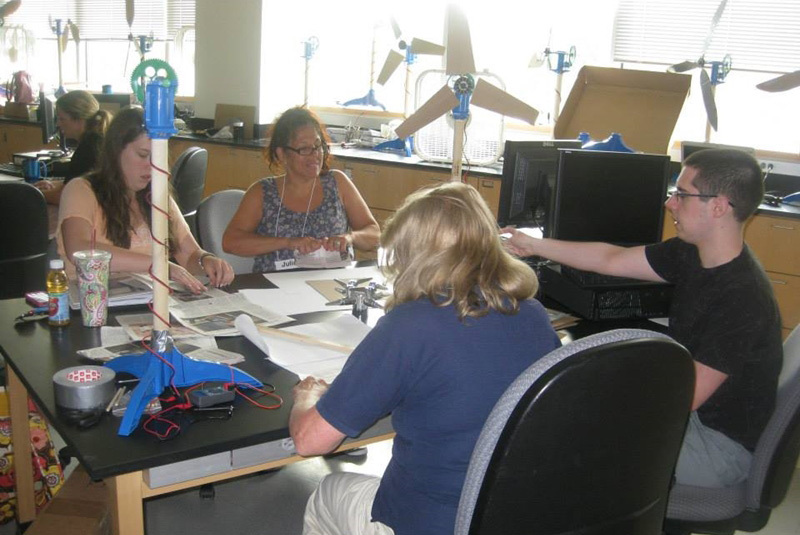 Middle school teachers design, build, and test wind turbines. 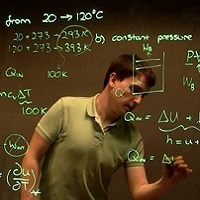 Cohorts of Faculty who teach one of 12 core undergraduate courses in the School of Engineering & Science are provided training, support and recognition to enable adoption and implementation of toward improved teaching practices informed by educational research. This high school multimedia curriculum is designed to increase the interest and knowledge of science and engineering, especially for young women and underrepresented groups in STEM. 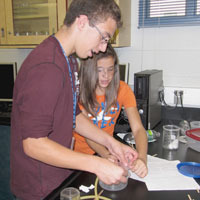 Students learn the fundamentals of multimedia and video production by creating a short animated video. Science practices, content knowledge and student thinking are at the center of this New Jersey Mathematics and Science Partnership program to prepare K-8 teacher leaders to serve as Science Ambassadors, helping to improve science teaching and learning within their communities. 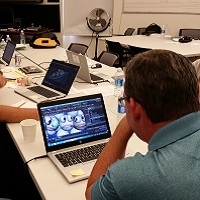 Biology and physics teachers are learning to infuse engineering design into their existing teaching and current instructional materials, building meaningful connections between engineering and core science ideas.